Chickenpox usually leaves you with agonising pain and discomfort. And the kind of discomfort that doesn't seem to get away without leaving scars. However, Mother from Musselburgh, East Lothian whose daughter was suffering from chicken pox pain revealed how a simple £1(about 90 Indian rupees) product helped her child's itching stop. It was the Head and Shoulders Classic shampoo that helped the chicken pox calm down on her daughter's skin. 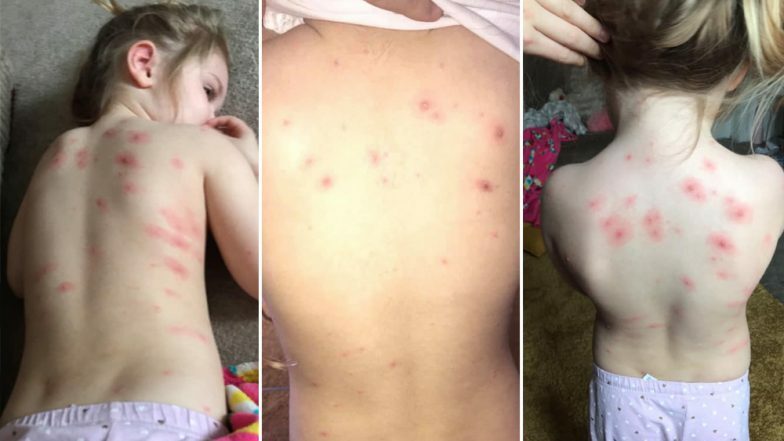 The mother named Claire Jenkin, from Scotland, took onto social media to reveal how her chicken pox spots dried out by using the simple shampoo. Chicken Pox Cases on Rise in Hyderabad, Summer Can be a Reason, Say Doctors. She wrote on Facebook: "Anyone who’s kiddies pick up chicken pox I cannot recommend this enough!! Reagan went to the docs today and we were advised to use Head and Shoulders CLASSIC as a bubble bath to sooth the spots. The difference is unbelievable! Over an hour without a single scratch or moan! No more angry red spots. Hopefully this helps anyone else who’s at theyre wits end with scratching children." The Head and Shoulders Classic Clean shampoo seems to have calmed the child's inflamed skin in no time. Isn't that one of the cheapest and easiest methods? There were other parents also who confirmed that it worked for them as well. Whereas some said the shampoo could also come in handy to fight acne and eczema.